SALE: Save 10% when you order 1-5 units and 20% when you order 6+ units. Valid through 04/30/2019. If your order weighs less than 13 ounces, save huge on shipping with USPS first class (with tracking number). This product weighs 3.6 oz. 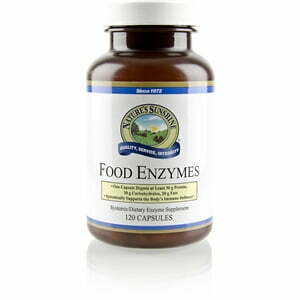 Nature’s Sunshine Food Enzymes provides essential enzymes to aid in the digestion process. The enzymes included in the formula break down food to allow for easy absorption into the bloodstream. Because of the prevalence of processed foods, many modern diets lack these necessary enzymes. 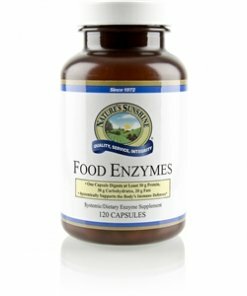 Food Enzymes contains pepsin, pancreatin, mycozyme, papain, bromelain, and bile salts, all of which break down various food compounds.